Toyota Kirloskar Motor sold a total of 12,403 units in the domestic market. The company exported 1597 units of the Etios series this month thus clocking a total of 14,000 units registering 6% growth as compared to same period last year. In the month of October 2016, Toyota Kirloskar Motor sold a total of 11,651 units in the domestic market. In addition, the company exported 974 units of the Etios series. The festive season has ushered in positive spirit in the market despite price rise in line with cess hike. Customer demand for Innova and Fortuner continues to be strong and TKM is fully utilizing one of its plant’s capacity to the maximum to bring down the waiting period. 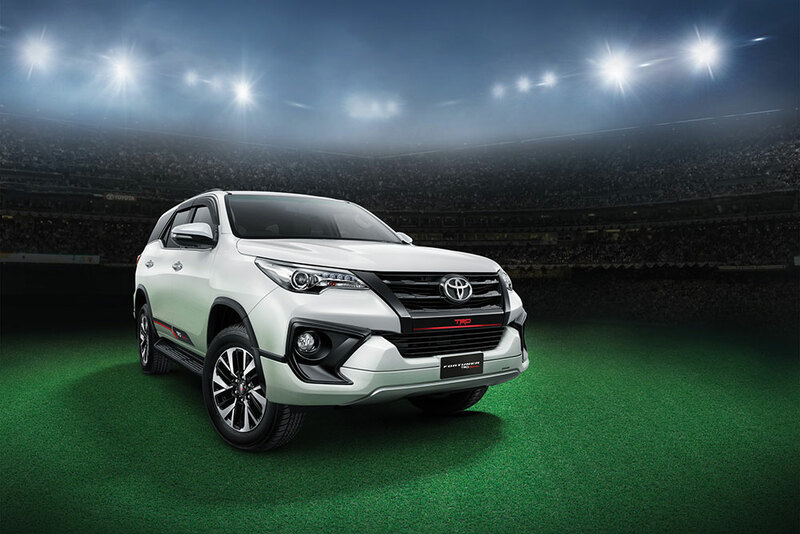 The newly launched limited editions “Etios Cross X-Edition” and “Fortuner TRD Sportivo” have received good response from customers. Etios Cross X-Edition loaded with an array of new features and sporting a more sporty and stylish look was launched for the festive season. It has also contributed to the overall positive growth. We are happy that the festive season has given a positive push to the domestic sales in the auto industry. There is a spur in the customer demand. Innova Crysta and Fortuner continues to enjoy good growth in demand in the market. We are utilizing one of our plant to the maximum capacity to ensure the waiting period is reduced and thank our customers for their patience and trust. With no change in price post cess hike, we have seen slight improvement in customer demand for Camry Hybrid. Toyota has been a leader in Hybrid technology worldwide, Camry Hybrid which is the flagship model will continue to be a significant part of Toyota product lineup. We believe customers will understand and appreciate the benefits of clean & green-friendly HV (Hybrid Vehicle) technology. Toyota globally believes that the electrification of vehicles is required to reduce CO2 emissions. Toyota is already the top automaker worldwide in terms of sales of electrified vehicles, of which most are HVs. We will continue to make efforts to encourage the popularization of electrified vehicles and to remain the leader in electrified vehicles. Toyota has a share of over 40% in the Global electrified vehicle market, meaning that almost 1 out of every 2 electrified vehicles sold is a Toyota vehicle. Our recently introduced limited editions Etios Cross X-Edition and Fortuner TRD Sportivo with impressive new features, more sporty and stylish appeal has been very well accepted in Indian market. Etios Cross X-Edition has helped in the positive growth of Etios Cross and also helped in contributing to the overall domestic sales. We are delighted that Toyota Etios has been recognized as the Most Dependable Car in the Entry Mid-Size Segment by the J.D. Power 2017 India vehicle dependability study, for the third consecutive year. We acknowledge the continued admiration that our customers have shown for our products time and again.